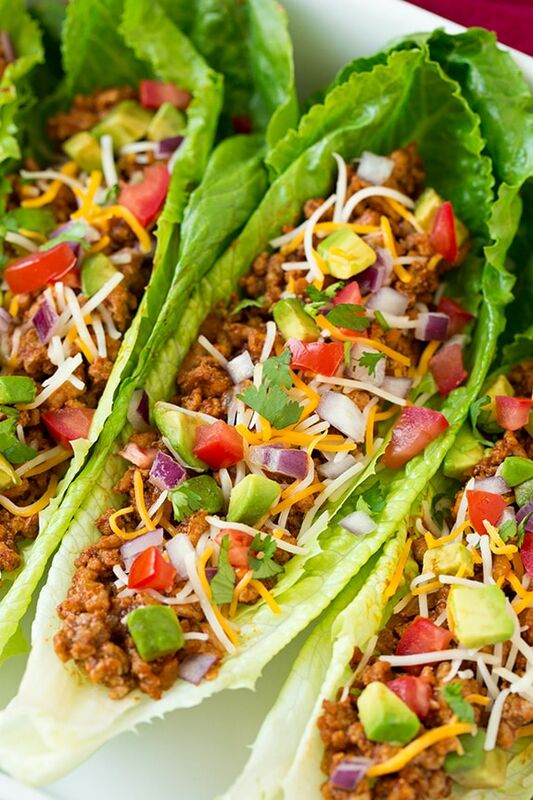 Turkey Tacos just in Time for the Weekend! I have a craving for some tacos. I don’t know where the craving started, but I have been craving them all week. 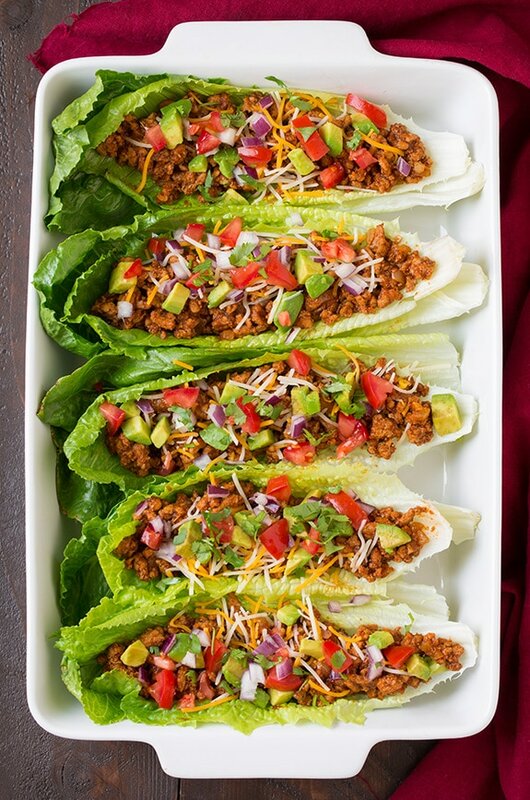 Hence, my search for a taco recipe that is going to satisfy my craving, yet is still healthy so I don’t undo my hard work from working out this week! So I bring you…..drumroll please…….. These are super easy to make and taste so good! So fast to make on a weeknight or busy weekend! Heat olive oil in a non-stick skillet over medium-high heat. Add onion and saute 2 minutes. Add turkey and garlic, season with salt and pepper, and cook, tossing and breaking up turkey occasionally, until cooked through, about 5 minutes. Add chili powder, cumin, paprika, tomato sauce and chicken broth. Reduce to a simmer and cook about 5 minutes until sauce has reduced. Serve mixture over lettuce leaves with desired toppings. If you wind up making these, tell me what you think in the comments!